The new 2nd-generation Range Rover Evoque got it big reveal this week at a special event put on by Land Rover in London, England. First impression is that the company is clearly playing it safe in terms of the vehicle’s design, for fear of messing with a winning formula. The company has sold nearly 750,000 units of the SAU since its introduction in 2012. Which means it takes some looking to find many changes to the exterior styling and design. The headlights have been tweaked and there are new openings for the anti-fog lights. The lower body cladding is also different. The back end has been tweaked just as subtly. Where changes are more substantial, is under the hood. 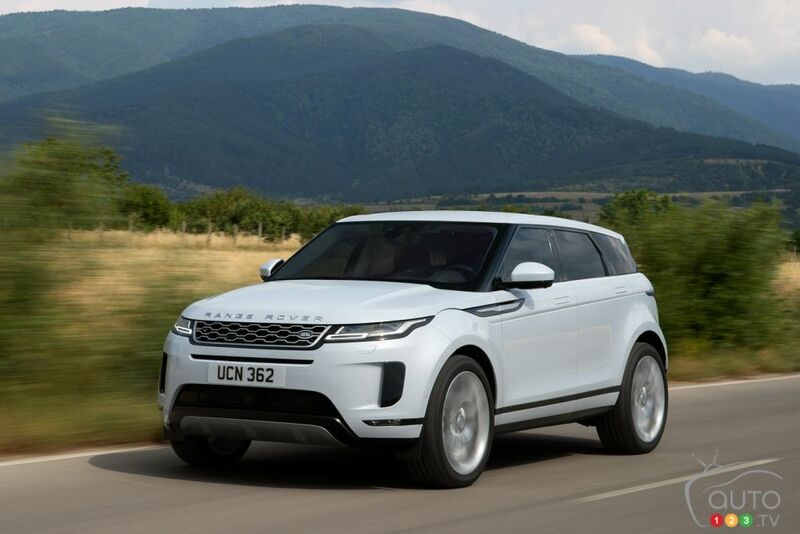 While the 2.0L 4-cylinder will still be the default engine for the Evoque, it can be configured (as an option) with a 48-volt light-hybrid version. This system will enable operating the vehicle in fully electric mode when driving at under 20 km/h, as long as the battery is sufficiently charged. The gas engine will take over when the driver accelerates. For the moment, we have not been given technical details about this powertrain, but we should get those when the 2020 Evoque makes its public debut on North American soil, most likely at the next Chicago auto show. Given the importance of this model for the automaker, we admit we’re a little surprised that the model is not getting a big send-off at the Los Angeles Auto Show next week, or even at the Detroit show in January 2019. 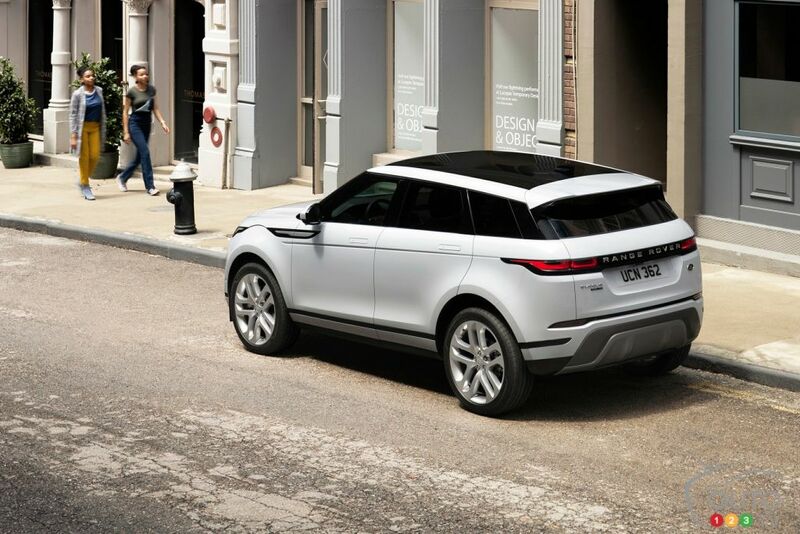 For the rest, Land Rover is saying only that the new Evoque will be a reference in the use of eco-friendly materials. 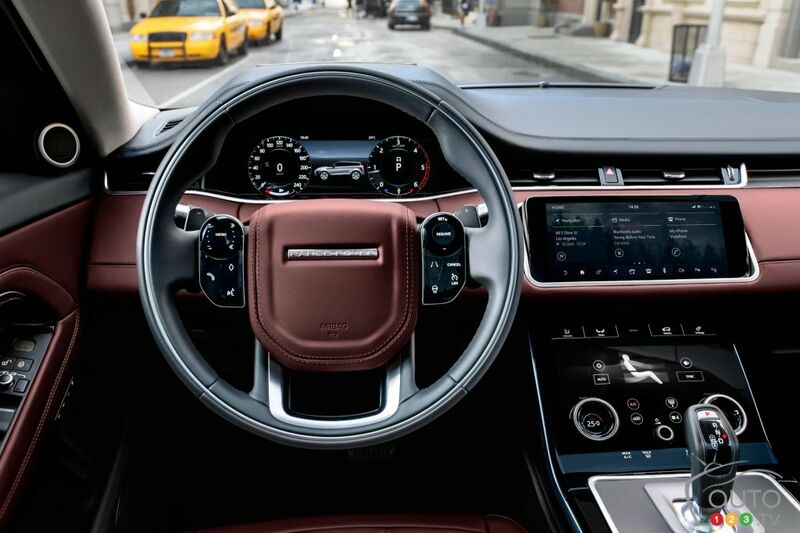 No surprise, we can also expect a new Evoque more fully connected and technologically advanced in terms of derive assist systems. 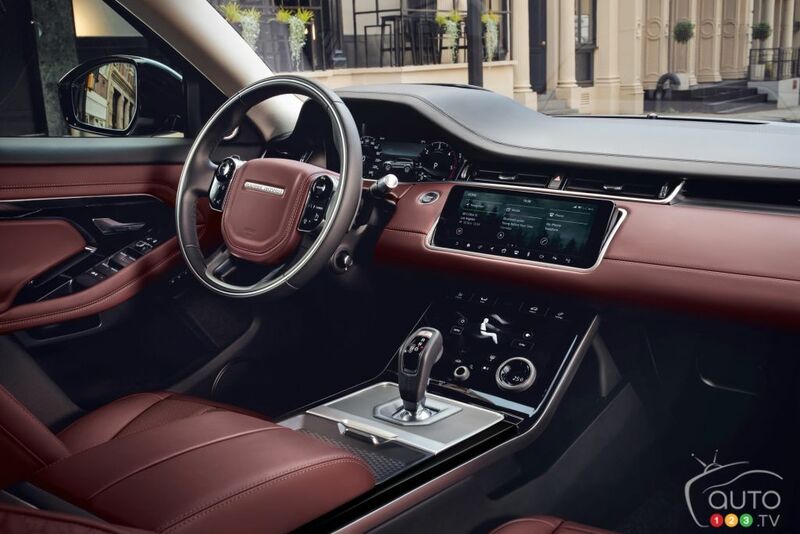 We’ll be providing much more on the new 2020 Range Evoque at the upcoming Chicago auto show, taking place in February 2019.